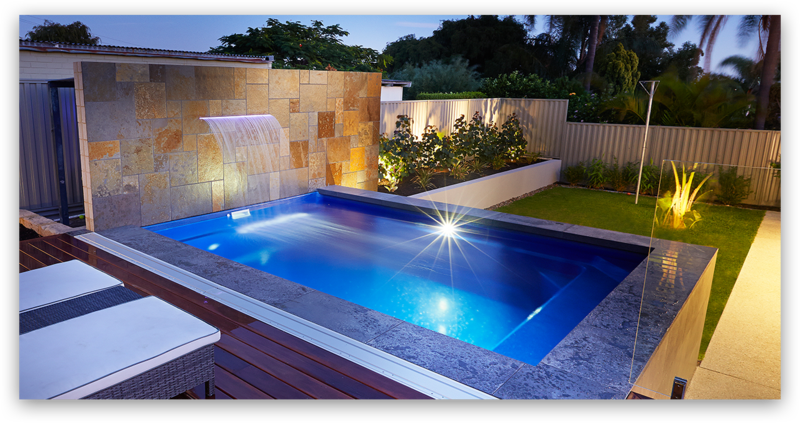 Owning a pool in Queensland comes with specific mandatory compliance requirements, to ensure that it adheres to pool fencing legislation. But this does not have to be a headache for you, as NQ Pool Warehouse can look after making your pool as safe as possible by arranging the fencing installation for you. We use Oxworks quality pool fencing because they provide a variety of different options, ensuring that you will have a pool fence that not only looks fantastic, but can be installed by our team as a part of your pool package. All Oxworks fences come with a 10 year warranty, are made using the highest quality materials and built tough so they will still look great many years down the track. Our comprehensive range of aluminium and glass fencing designs are affordable, safe and they look great! Semi-frameless Glass Pool Fencing – The semi-frameless glass pool fence is a popular option for many pool owners today, adding style, class and safety to any pool area. This is a modular system that is easy to install and creates a spacious feeling for both those inside the pool area and those outside looking in. This is a no-fuss system that will suit any home – providing a safe, aesthetically pleasing solution to pool fencing requirements. Aluminium Pool Fencing – The traditional aluminium pool fencing is still a popular choice, bringing safety, colour and style to any pool or garden area. At Oxworks there are so many designs to choose from that you will be sure to find the ideal one to suit your existing home decor. They are easy to install and provide an economical answer to pool safety with a stylish outlook for you to enjoy in your new pool area. Colourbond Steel Fencing – For those who are looking for extra privacy, or for boundary fencing around your pool, Colourbond steel fencing is the perfect solution. Unlike the traditional wooden fencing, Colourbond fences look just as good from the front as it does from the back, so everyone is happy with the end result. These fences never warp or twist, and they maintain their fresh look throughout their life so there is no maintenance or repainting required.